As relevant today as they were half a century ago, more than 150 black-and-white images chronicling the Southern Freedom Movement are featured in This Light of Ours: Activist Photographers of the Civil Rights Movement. The 4,000-square-foot multimedia exhibition features works by nine activist photographers who documented the clash between institutionalized discrimination and determined resistance by activists and volunteers. The Maltz Museum added videos, interactive features and material about racial division today. “This exhibition is very timely,” says Museum co-founder Milton Maltz, noting its relevance to recent shootings, riots, vigils and protests in Baltimore, Charleston, Cleveland, Dallas and Milwaukee. 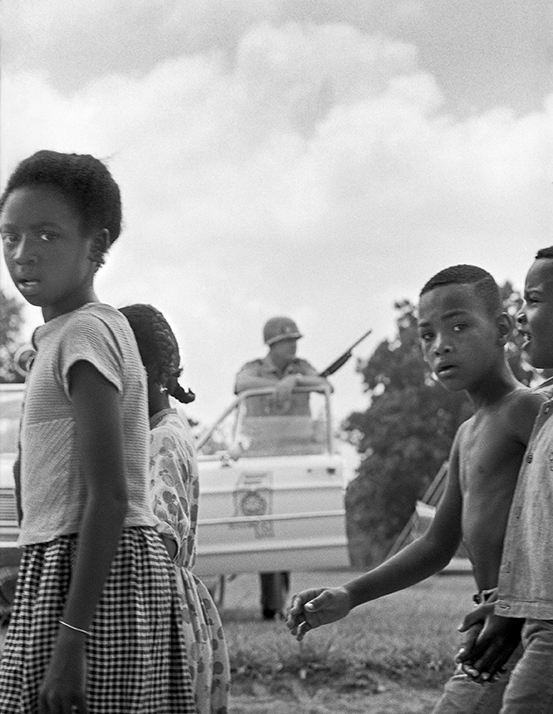 “Ordinary people risked everything to fight for equality in the segregated South of the 1960s. The question this exhibition asks is, 50 years later, who will take up the challenge to right inequities that continue to spark anger across this country? How can we heal this open wound of racial division in America?” Recognizing that racial divisions weren’t relegated to the South, This Light of Ours also includes content related to Northeast Ohio’s own turmoil and triumphs at this critical moment in American history. This Light of Ours features photographers Bob Adelman, George Ballis, Bob Fitch, Bob Fletcher, Matt Herron, David Prince, Herbert Randall, Maria Varela and Tamio Wakayama. The photographic portion of the exhibition was organized by the Center for Documentary Expression and Art with major support provided by the Bruce W. Bastian Foundation and the National Endowment of the Arts. Curator: Matt Herron; Historical Consultant: Charlie Cobb Jr.; Project Originators: Leslie Kelen and Steven Kasher. The films, design and exhibition experience were conceived and produced by the Maltz Museum.